It's a most deserving honour for Kris Letang to play in the 2012 All-Star Game, but an ironic one for a player who never dwells on individual contributions or acknowledgement. Added to the All-Star lineup for the game that takes place on Sunday in Ottawa, Letang, who happily cancelled alternate plans he had made once he found out he was on the roster, is the epitome of a team player. Letang, who was one of the stars of last year's game, tallying two goals for Team (Eric) Staal, has totaled five goals and 18 points in 26 games in 2012. Letang is averaging 0.88 points per game this season, one of the top averages among all NHL blueliners. The 62nd overall selection of the Penguins in the 2005 NHL Entry Draft has been ultra-consistent since he launched his big-league career in 2006-07. 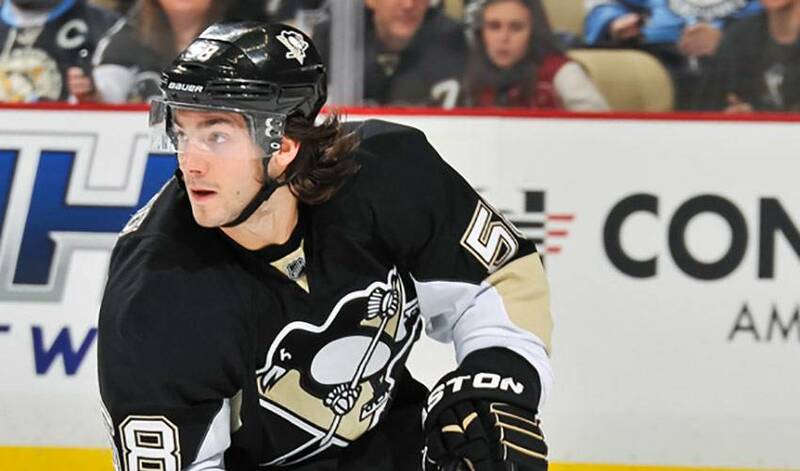 Letang netted his first NHL goal in his third game, against the New York Rangers in a 6-5 win. After contributing two goals in seven games, Letang was returned to his Quebec Major Junior Hockey League club (QMJHL), Val-d'Or, to further hone his skills. Skating in his third campaign with Val-d'Or, Letang led the Foreurs to the 2007 QMJHL Finals with 31 points in the post-season. After his team was eliminated from the playoffs, he was assigned to the Wilkes-Barre/Scranton Penguins of the American Hockey League (AHL), who were competing in the second round of the Calder Cup playoffs. Letang was subsequently honoured with three significant QMJHL awards. In addition to receiving the Emile Bouchard Trophy, as the league's best defenceman, and the Paul Dumont Trophy, as the best personality, he also received the Kevin Lowe Trophy, as the best defensive defenceman. It's a part of his game he takes great pride in. While he might have his work cut out for him at the All-Star Game, a contest where heavy hits and physical play is a rarity, Letang, who won two gold medals with Team Canada at the 2006 and 2007 World Junior Championships, has plenty of other weapons in his on-ice repertoire, most notably, speed and precision passing skills. Regardless of the outcome, the native of Sainte-Julie, Quebec is thrilled to get yet another opportunity to play in the 59th edition of the annual game. And although it won't showcase the intensity of a hard-fought Stanley Cup final, it's a safe bet the 6'2”, 210-pounder will take his job seriously. Letang, who attended last year's game with teammate, goaltender Marc-Andre Fleury, certainly deserves to be back again in an All-Star uniform, even if he'd be hard-pressed to agree.